Zoisite is one of those stones that implore you to "get up and go". Zoisite can enable you to get back your creative spark and spotlight on what you truly appreciate doing. It shields you from being lazy and idle. Zoisite transmutes negative energy into the positive and further improves trust, in yourself, however the Universe all in all. It encourages you comprehend and impart your own certainties, without the impact of others. It encourages you get out and appreciate nature, carrying with it a sense of joy and wonder. 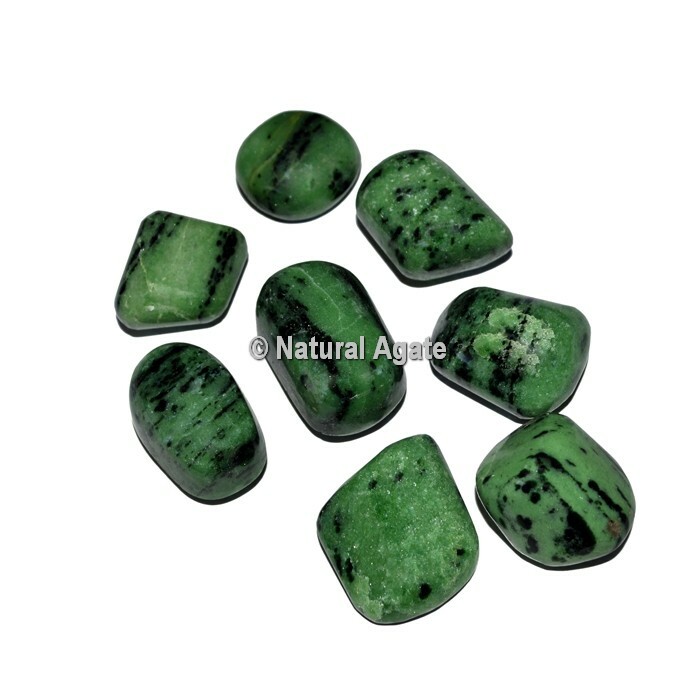 Zoisite can help heal problems associated with the reproductive organs and increase fertility. Order online at Natural Agate.